…or to NYC, anyway. 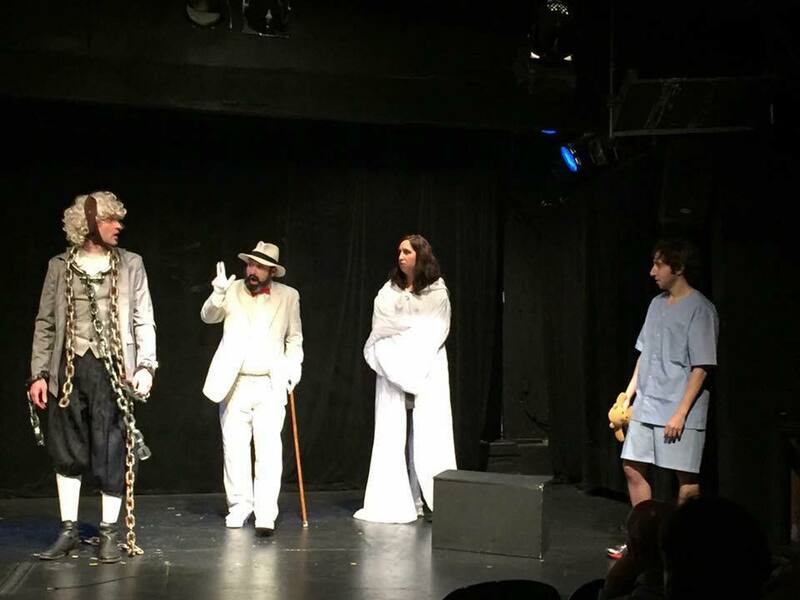 Our play, Edward’s Closet, which was performed at the Take Ten Festival in NYC this spring will be returning to the Big Apple as part of the Midtown International Theatre Festival on Halloween Weekend! Johnny Culver is directing again, and most of his delightful band of closet dwellers will be returning. And just when we thought it was safe to open our closet, too. This picture was taken from the first performance at Take Ten. It’s an honor to be nominated…	We’re Mavericks!